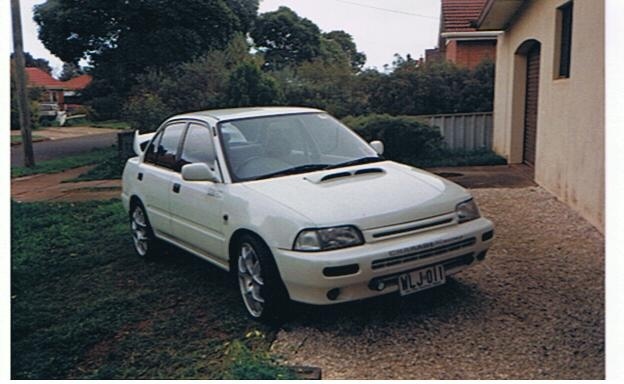 Have you driven a 1994 Daihatsu Charade? Hard To Beat For The Price And Cost Of Ownership. — I've got a modified 1994 Daihatsu Charade. It has a turbo 1.0 3cyl, has front mount intercooler, bigger turbo, efi, custom plumbing and exhaust, 15" wheels, strut brace and sway bars. Doesn't sound like much but goes pretty hard for a little car. Have some lowered suspension that I need to fit and then it will be a good little pocket rocket. Best parts are the turbo rush, reliability and cost to run. Worst parts are turbo lag, lack of refinement and the fact it's a Daihatsu haha.